Give yourself more time to do what you love and be Queen of the Sheets with the first hot brush from ghd. A perfect second-day styling partner, the ghd glide will forever be your best friend when it comes taming your hair, quickly and effortlessly. So give yourself those precious extra few minutes and glide into your morning with ease. Eliminate frizz and restore balance back to your hair thanks to the ceramic technology with ioniser within the ghd glide hot brush. Heating up to the optimum styling temperature of 185ºC your locks will be healthier-looking and gorgeously glossy, letting you stay in bed that little bit longer. 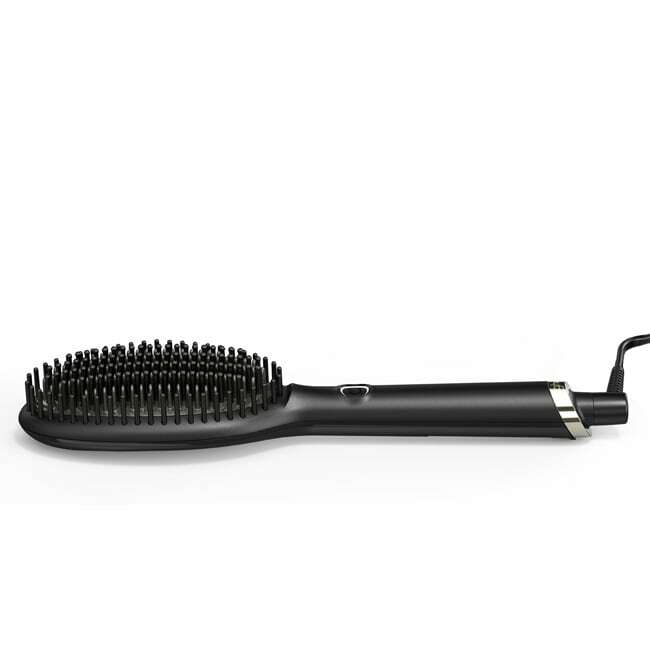 With a combination of high density shorter and longer bristles allowing you to style larger sections of hair means your schedule won't be disrupted. Let the morning be your friend again and have a good hair day, everyday.